You know how when you make those New Year’s resolutions you are SO gung-ho for the first couple of weeks, then the reality of making those changes starts to sink in, and you get a little tired, and a lot frustrated? I think that might be where I am at on the NO MORE energy drinks to make it through the work day. 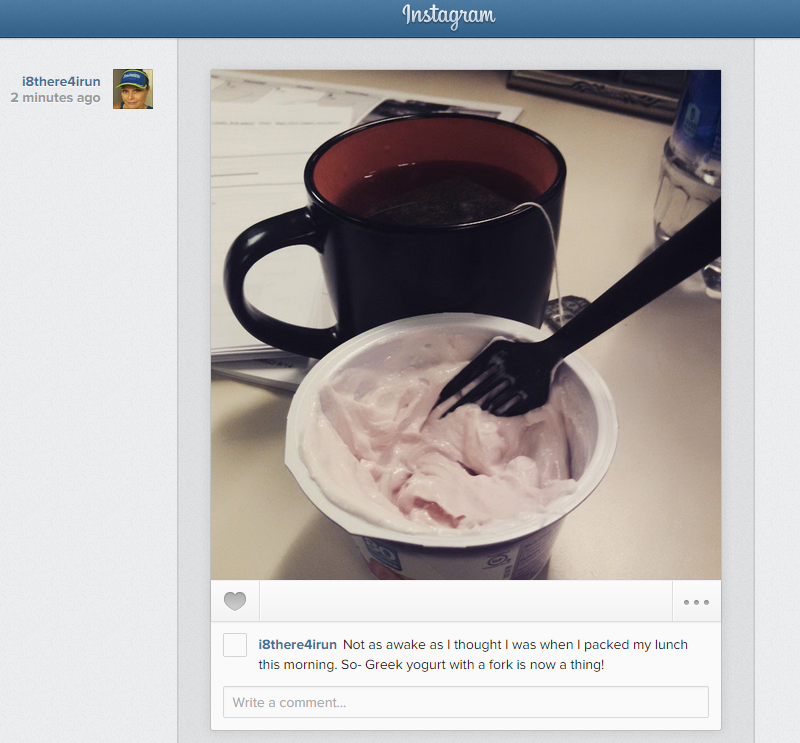 Because apparently when I packed my lunch this morning, I forgot that one needs a SPOON to eat yogurt. Gonna be a long day.